This exercise is also one of the basic breathing exercises. 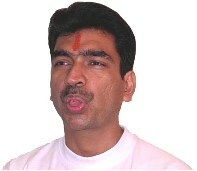 The breathing technique Sitali refers to the sound caused when air is drawn in through the protruding tongue folded into a tube. Purse your lips into a tiny "o" shape, like a reaching kiss. Keep your tongue floating inside, so that it doesn't touch teeth or gums? Slowly inhale through your mouth, feel the cooled air. If your mouth becomes dry, be patient and slow it down more. To exhale, use the tip of your tongue softly against the top inside roof of your mouth. Exhale even more slowly as you inhaled. The air will exit your nose, so feel the heat exiting too. This pranayama is exhilarating, cools the system, the eyes and ears. It is beneficial in cases of low fever. It activates the liver and spleen, improves digestion and relieves thirst. It is beneficial to halitosis. This pranayama can be done by the sadhaka, even when the nostrils are blocked.